#10 – Baltic Sea Anomaly (June 19, 2011) “We arrived there twice, and the question mark has become so much bigger now, “says Dennis Åsberg. The area is a completely circular plate with 180 metres in circumference, and therefore believed that it was the first traces of a meteor.”“But there are 1,500-metre track in bed until the subject matter-and they have also discovered right angles, walls with absolutely smooth surfaces and cavities-like corridors inside the object. When we went out and saw the walls which were straight and smooth, it was frightening, as in a science-fiction film, “says Dennis Åsberg on Ocean x-team as soon exploring the unknown object again.“#9 – Belgian UFO Wave (November 1989-April 1990)The Belgian UFO wave peaked with the events of the night of 30/31 March 1990. On that night unknown objects were tracked on radar, photographed, and were sighted by an estimated 13,500 people on the ground – 2,600 of whom filed written statements describing in detail what they had seen. Following the incident the Belgian air force released a report detailing the events of that night. #8 – Phoenix Lights (March 13, 1997) Many of the eye witnesses to the Phoenix Lights were prominent citizens and very reliable people. There were pilots, doctors, politicians, police officers, firemen, local business owners, street sightings, adults, children, and thousands of other citizens who all witnessed this event. There is no doubt it was something quite real thing. It may have been an experiemental aircraft, something from alien regions, but there were definately unidentified flying objects that were seen, recorded, video taped, and by multiple observers in several states.#7 – Kecksburg UFO incident (December 9, 1965)This case has it all, maybe even more than anyone bargained for; hundreds if not thousands of witnesses from multiple states in two countries, immediate military cover-up, missing photographs taken by the government, men in black and possible murder. The military and NASA changing their stories, missing or destroyed reports, NASA contradicting the Air Force, missing or damage space debris, a court case where even the judge acknowledges his frustration with the government obvious cover-up. The more you dig the deeper the conspiracy gets and the more obvious it becomes that a poor cover-up was put in place! #3 – Kenneth Arnold UFO sighting (June 24, 1947) This was an incident on June 24, 1947, where private pilot Kenneth Arnold spotted a string of nine, shiny, mostly disc-like unidentified flying objects flying past Mount Rainier at then unheard of supersonic speeds that Arnold clocked at a minimum of 1,200 miles an hour. This was the first post-War sighting in the United States that garnered nationwide news coverage and is credited with being the first of the modern era of UFO sightings, including numerous reported sightings over the next two to three weeks. 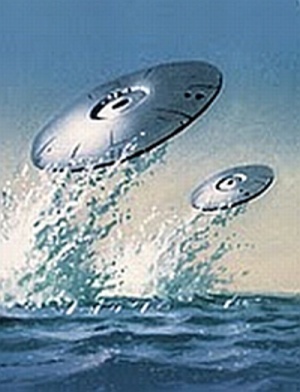 Arnold’s description of the objects also led to the press quickly coining the terms “flying saucer” and “flying disc” as popular descriptive terms for UFOs. #2 – The Mantell UFO Incident (January 7, 1948)There were three exceptional UFO cases in 1948 which involved pilot – UFO encounters. One of these is the Chiles Whitted Sighting. The second one was the well documented case of Gorman dogfight with a UFO and the third one is the case of Thomas Mantell. The Mantell case occurred on January 7, 1948. He was a member of the Kentucky Air National Guard and while on a routine flight he would become the first pilot to lose his life while pursuing a UFO. Since this was the first UFO-related human casualty, unsubstantiated rumors swirled that he’d been shot down by aliens and that his body was covered in strange holes. #1 – Roswell UFO Incident (June-July 1947)Roswell, New Mexico has been synonymous with a UFO that crashed, aliens being recovered, back engineering alien technology, conspiracy and a hole host of other event. Dismissed as a fallen weather balloon from the top secret Project Mogul, the wreckage story re-emerged in 1978 when an eyewitness described wood-like substances that wouldn’t burn, paper-thin metal that wouldn’t dent, and unreadable symbols printed on the rubble. Some of the best Ufologist have studied the case and have written several books on the subject; they conclude that the government covered this unworldly alien UFO crash in the desert in 1947.